Mareşal/Büyükamiral (Marshal) is the highest rank in the Army of Turkey, the Turkish Armed Forces. It is the equivalent of a Field Marshal in other countries. The rank of Mareşal/Büyükamiral can trace its origins to the Ottoman Empire and to the military of Persia, where the rank was bestowed upon senior commanders upon order of the ruling Sultan. The word mariscalcus in Latin, had parts from the old-German words meaning horse and servant. The rank of Mareşal/Büyükamiral can only be bestowed by the National Assembly, and only given to a General/Admiral who leads an army, navy and/or air force with an extraordinary success in battle gaining a victory over the enemy. 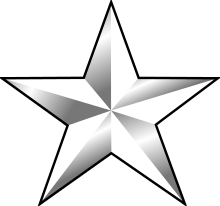 The corresponding rank in the Turkish Navy is known as Büyükamiral. Marshalls of Turkey: Only two persons were bestowed the rank Mareşal to date: Mustafa Kemal Atatürk (on 21 September 1921) and chief of staff Fevzi Çakmak (on 31 August 1922), both for their successes in the Turkish War of Independence.